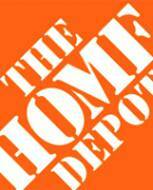 Thank you to The Home Depot for being a Platinum Sponsor of Design & Build with FSC at Greenbuild. 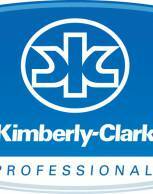 Thank you to Kimberly-Clark for being a Gold Sponsor of Design & Build with FSC at Greenbuild. Need a Greenbuild Expo Pass? Want to go to Greenbuild 2013 but don't have the expo pass? We've go the first 125 of you covered! Come visit FSC at our marquee at the Philadelphia Convention Center on November 20-22. Email us at info@us.fsc.org to claim your pass! Please visit us.fsc.org to join our mailing list. Email us if you wish to be removed. Economy Paper Company, Inc. has been serving Rochester New York and Its Surrounding Counties for the past 77+ years. We are an area Leader in the Distribution of Fine, Digital and Commercial Printing Papers, Janitorial Product and Equipment and Packaging Supplies and Equipment. So Don’t Let Our Name Fool You, We Are Much More Than Just Paper and Our Service Is Second To None!